These are my book recommendations for becoming a better person, a better leader, and better in business. I add to this list every two weeks so check back often for update! The recommendations are organized alphabetically and reference both my full book review and an affiliate link to Amazon. 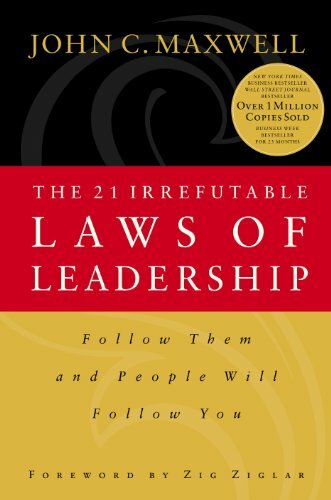 The 21 Irrefutable Laws of Leadership: Follow Them and People Will Follow You by John C. Maxwell. The effectiveness of your leadership determines your level of success in all of your endeavors. It doesn’t matter how much money you have, who your parents are, what your education is, or who you know. You will only go as far as your leadership ability is capable of taking you! Get my full review here. Acres of Diamonds: Think Big Things and Then Do Them by Russell Conwell. Conwell was a war hero, lawyer, businessman, educator, orator, minister, and visionary who is probably most famous for founding Temple University and for his trademark lecture “Acres of Diamonds.” This book is a transcript of the lecture along with a biography of his life and a commentary of the impact he has made on the world before his death in 1925. Get my full review here. Be Amazing or Go Home: Seven Customer Service Habits That Create Confidence with Everyone by Shep Hyken. Hyken does a stellar job of describing the epitome of customer focus! This book focuses on what “Amazing” looks like to a customer and the personal and corporate habits that each of us need to cultivate to attain the “Amazing” status. Get my full review here. Blue Ocean Shift: Beyond Competing – Proven Steps to Inspire Confidence and Seize New Growth by W. Chan Kim and Renee Mauborgne. Every business leader must continuously strategize on how to move into or stay in a Blue Ocean market. This is a daunting task and takes significant effort, creative thought, innovation, wisdom, and action. Get my full review here. Brain Maker: The Power of Gut Microbes to Heal and Protect Your Brain–for Life by Dr. David Perlmutter. In Brain Maker, Dr. Perlmutter builds on the research and recommendations in his previous book, Grain Brain. Where Grain Brain was more focused on the results of a grain based diet, Brain Maker focuses on the effects of a poor digestive tract microbiome. Get my full review here and get my personal detailed book notes here (under the Value/Health and Wellness section). Building a StoryBrand: Clarify Your Message So Customers Will Listen by Donald Miller. This was my pick for the business book of 2017! In Building a StoryBrand Miller lays out his blueprint for building a highly focused business brand that makes the customer the hero of their own story. If you are not positioning your customer to be a hero, you are not setting up your business for success! Get my full review here and reference this post for ideas on how to apply it to your business. Captivate: The Science of Succeeding with People by Vanessa Van Edwards. Van Edwards takes the reader through a detailed study of the art and the science of networking. She explains the power and benefits of building your network and covers many of the aspects of starting and building genuine relationships. To see her list of 14 networking hacks, go to my full review here. Deep Work: Rules for Focused Success in a Distracted World by by Cal Newport. If you want to produce at your peak level, you need to work for extended periods of time on a single task without interruption. Newport calls this Deep Work. Those who are disciplined at deep work are able to accomplish significantly more than the rest of us who are always distracted by social media, cell phone, instant messages, email, Internet, etc. Get my full review here. Exponential Organizations: Why new organizations are ten times better, faster, and cheaper than yours (and what to do about it) by Salim Ismail, Michael S. Malone and Yuri van Geest. According to the authors, “An Exponential Organization is one whose impact (or output) is disproportionally large—at least 10x larger—compared to its peers…” An exponential organization can be characterized by a Massive Transformational Purpose and at least 4 of 10 attributes that are leveraged to achieve the exponential growth. Get my full review here and reference this post for the 3 steps to dealing with exponential growth in your business. Extreme Ownership: How U.S. Navy SEALs Lead and Win by Jocko Willink and Leif Babin. Willink and Babin have earned their leadership stripes in some of the toughest environments known to mankind – as SEAL team leaders under combat conditions in Ramadi, Iraq. These guys definitely have what it takes and know what true leadership is all about. Get my full review here and review this post to get the 12 leadership lessons taught in the book. Friend of a Friend: Understanding the Hidden Networks That Can Transform Your Business by David Burkus. Burkus takes the reader through the myths, science, and art of networking. He uses research and studies backed up by solid anecdotal evidence to come to his conclusions. His underlying premise is that: “we are not growing or creating a network . . . we already exist inside of a network.” Get my full review here. by Adam Grant. Grant provides a detailed compilation of research in the area of giving and receiving. The results from this research, backed up by reams of data and an overwhelming number of examples is that there are three types of people; Givers, Takers and Matchers. Matchers both give and take as they see fit. Get my full review here. Grain Brain: The Surprising Truth about Wheat, Carbs, and Sugar–Your Brain’s Silent Killers by Dr. David Perlmutter. Although this is not a business book, it is critical for each of us to do whatever we can to maintain and improve our health. Obviously we are not very effective as people or business leaders if we are not healthy. In Grain Brain, Dr. Perlmutter provides an excellent overview of the declining state of human health which research is showing can be attributed to our poor nutrition habits. Get my full review here and get my personal detailed book notes here (under the Value/Health and Wellness section). H3 Leadership – Be Humble. Stay Hungry. Always Hustle by Brad Lomenick. This is a great leadership book written through the eyes of Lomenick as he transitioned from leadership of an organization called Catalyst to a lengthy sabbatical and then back into the marketplace. Get my full review here. Hunch: Turn Your Everyday Insights Into The Next Big Thing by Bernadette Jiwa. In today’s distracted and plugged-in world where we can Google answers for anything, we are at risk of losing our ability for innovative thought. Jiwa does a great job of outlining techniques for reengaging our creativity and intuition and generating the next big thing by leveraging our everyday insights. Get my full review here. Hustle: The Life Changing Effects of Constant Motion by Jesse Tevelow. This is an intriguing book that was written, formatted and published in seven days! Tevelow was basically proving his point – when you hustle, you can get things done. Get my full review here. Ideas and Stuff Podcast – I was recently featured on the Ideas and Stuff Podcast episode #50! Listen to it here! This is a “value-packed” episode. We covered topics like; Vision, Mission, Values, BHAG, Strategy, Goals, Managing risk, Business failure, 15 Minute Business Blueprint, and Mastermind Groups . . . all in 30 minutes! These beliefs enable the seven essential traits of a sales leader. Get my full review here. Linchpin: Are You Indispensable? by Seth Godin. Godin is simply an outstanding author and this book proves it once again! Linchpin describes how each of us needs to approach how we deliver our unique genius to the marketplace. Linchpins are the mapmakers of society. They are the people who drive our world forward through the application of their skillsets and talents. LinkedIn Riches: How to use LinkedIn for Business, Sales and Marketing! by John Nemo. This is a short but value packed book on how to optimize your profile on LinkedIn, leverage that profile to standout from competitors and then utilize the advanced tools LinkedIn provides to identify and contact potential customers. Get my full review here. Living Forward: A Proven Plan to Stop Drifting and Get the Life You Want by Michael Hyatt and Daniel Harkavy. Hyatt and Harkavy detail out the process of building a life plan – a balanced plan for your life that provides long term focus complete with the detailed goals required to get there. The book is well written with tons of examples and great online tools. Get my full review here. Louder Than Words: Harness the Power of Your Authentic Voice by Todd Henry. Todd Henry steps the reader through the process of, and importance of, discovering what makes each of us unique. He calls this uniqueness the “authentic voice.” Each of us needs to devote ourselves to impacting the world with the uniqueness that only we possess. Get my full review here. Men Without Work: America’s Invisible Crisis by Nicholas Eberstadt. Eberstadt defines a problem in the US that has so far remained invisible to the public: There are literally tens of millions of able-bodied American men who have left the US workforce and are not even trying to participate. Get my full review here. On Immunity: An Inoculation by Eula Bliss. Bliss takes a philosophical approach to explaining the pros and cons of vaccinations and she does it in the context of her life as a mother. This is not a medical textbook although it is based on some solid medical research and facts. Get my full review here. 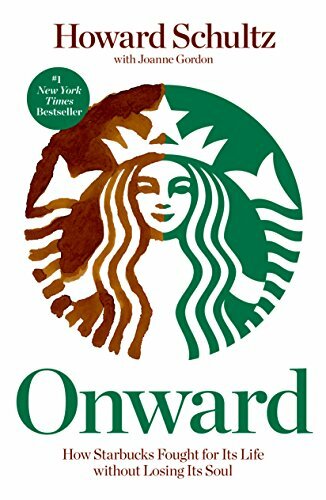 Onward: How Starbucks Fought for Its Life without Losing Its Soul by Howard Schultz. Schultz artfully weaves the story of Starbucks from its humble beginnings, through it’s astronomic growth, it’s desperate decline, and it’s eventual reinvention and re-invigoration. The main focus of the book is the process he led to turn Starbucks back into the customer focused, coffee centered, culture forming icon that it is today. Get my full review here and learn how to leverage Starbucks strategy here. Predictable Success: Getting Your Organization On The Growth Track — And Keeping It There by Les McKeown. McKeown lays out an interesting theory of the progression of an organization through seven potential stages. The challenge for every organization is to progress through the first three stages, enter into Predictable Success and stay there. Many organizations fall backwards or progress too far in the model and end up failing. Get my full review here. Concentrate Get my full review here. Profit First: Transform Your Business from a Cash-Eating Monster to a Money-Making Machine by Mike Michalowicz. Michalowicz introduces a new and unique way of managing the financial side of your business. Rather than running your business using traditional GAAP based reporting, he introduces an approach that keeps the business owners focused on profits not on Revenue, SG&A or COGs. Principles: Life and Work by Ray Dalio. Dalio, founder of Bridgewater Associates, the fifth most important private company in the United States (according to Forbes), does a stellar job in laying out his Personal History (for context), Life Principles, and Work Principles. I highly recommend this book to all business leaders. Get my full review here. Real Artists Don’t Starve: Timeless Strategies for Thriving in the New Creative Age by Jeff Goins. Contrary to popular belief, many of the famous artists of the past (like Michelangelo) were not “dirt poor” but were very wealthy thanks to their art endeavors! Goins dispels the myth of the starving artist and then masterfully explains twelve principles that are required to develop a successful enterprise as an artist. Get my full review here. Red Notice – High Finance and Treachery in Russia by Bill Browder. This is Browder’s amazing story of how he made billions of dollars as an early investor in Russia for his Hermitage Fund in the 1990’s and early 2000’s. Eventually, Putin and the oligarchs took notice and targeted him, his company and staff. Get my full review here. REMOTE: Office Not Required by Jason Fried and David Heinemeier Hansson. REMOTE defines a business model that embraces a structure where employees do not work from the traditional corporate office. They can work from home, from Starbucks, while traveling, or pretty much anywhere that has high speed internet! It is full of great examples, ideas, tools and techniques to make the “remote employee” model work for any knowledge based business. Get my full review here. Right Away and All At Once: Five Steps to Transform Your Business and Enrich Your Life by Greg Brenneman. Brenneman is a highly respected and experienced CEO who has led the turnarounds of many large corporations like Continental Airlines, Home Depot and Burger King. He provides some amazing business and personal insights in this book as well as revealing the foundation for his successful business philosophy. Get my full review here and learn how Brenneman turns a business from failure to success in this post. Secrets of the Millionaire Mind: Mastering the Inner Game of Wealth by T. Harv Eker. Eker describes “secrets” he has discovered in studying rich people and contrasts these secrets against the working habits of ordinary people. Although I thought the book had too many advertisements for Eker’s seminars and too much new age fluff, there are some great insights to be learned. Get my full review here. Smart Thinking: Three Essential Keys to Solve Problems, Innovate, and Get Things Done by Art Markman. Smart Thinking explores three essential keys to solving problems, innovating, and getting things done. Basically, Smart Thinking requires developing Smart Habits to acquire High Quality Knowledge and to apply your knowledge to achieve your goals. Get my full review here. Start With Why: How Great Leaders Inspire Everyone to Take Action by Simon Sinek. This is an excellent book that every person should read. Although it is especially relevant to business leaders, it applies to each of our personal lives as well! Sinek explains the philosophy of defining an organization’s purpose or reason for existing. He calls this the organization’s “Why”. This compelling reason “Why” the organization exists needs must be ingrained into the organization’s culture. Get my full review here. Stay on Top of Your Work – Helping leaders navigate market complexities and build successful and lasting organizations! I was recently featured on TimeCamp’s “Stay on Top of your Work Podcast” episode #15! Listen to it here! Strategy That Works: How Winning Companies Close the Strategy-to-Execution Gap by Paul Leinward and Cesare R. Mainardi. This is a detail oriented, fact rich, research based book that establishes a model for successfully translating business strategy to execution. They have done detailed studies on many companies like Starbucks, CEMEX and Danaher and put them into their “Identity Profile” system. Get my full review here. “Surely You’re Joking, Mr. Feynman!” – Adventures of a Curious Character by Richard P. Feynman. Besides winning the Nobel Prize in physics in 1965, Feynman was an eccentric, larger than life character with a list of achievements and accolades that are hard to fathom. He actively worked on the development of the atomic bomb, traded ideas with Einstein, Bohr, and Nick the Greek, cracked safes guarding highly sensitive atomic secrets, played bongo drums for a ballet, along with a host of other eclectic activities and accomplishments. Get my full review here. The 10% Entrepreneur: Live Your Startup Dream Without Quitting Your Day Job by Patrick McGinnis. This is a great book outlining the many different ways anyone can get involved in an entrepreneurial venture. It does not take full time, high risk oriented people to build an entrepreneurial investment portfolio. Get my full review here. The Art of Work: A Proven Path to Discovering What You Were Meant to Do by Jeff Goins. Goins believes that every person on earth is here for a reason and a purpose. He does an excellent job of describing the seven step process of discovering your purpose. Get my full review here. The Attackers Advantage: Turning Uncertainty into Breakthrough Opportunities by Ram Charan. Uncertainty must be used as a competitive advantage by businesses and business leaders in today’s marketplace. Charan explains uncertainty and how structural uncertainty is causing market upheavals that will inevitably impact all businesses. Get my full review here. The Business Blockchain: Promise, Practice, and Application of the Next Internet Technology by William Mougayar. Although this is not an easy read, Mougayar does an excellent job of explaining the blockchain and how it is positioned to fundamentally change the way we do business. These fundamental business changes will radically impact society. The blockchain is positioned to transform any transaction or interaction requiring any level of trust. Get my full review here. The Checklist Manifesto – How To Get Things Right by Atul Gawande. I spent more time readying this book than most. It is really that good! Gawande’s entertaining writing style, engaging examples and the underlying message that we need to systematize as much of our business and activities as possible so that we minimize mistakes and maximize value. Get my full review here. The Connection Algorithm: Take Risks, Defy the Status Quo, and Live Your Passions by Jesse Tevelow. Tevelow explains how important it is for each of us to expand our networks. Establishing a solid network will allow our personal growth to expand exponentially because we will be able to leverage the experience and contacts of the people in our network. Get my full review here. The Elite Consulting Mind: 16 Proven Mindsets to Attract More Clients, Increase Your Income, and Achieve Meaningful Success by Michael Zipursky. In this book on setting yourself up for success in the consulting world, Zipursky details his thoughts, techniques, mindsets, and philosophies around setting up a successful consulting business. Get my full review here. The Entrepreneurs Guide to Business Law by Constance E. Bagley and Craig E. Dauchy. This is a reference book rather than a traditional business book. You don’t need to read this cover to cover rather, you only reference the section that applies to the business and legal need at hand. Get my full review here. The Excellence Dividend: Meeting the Tech Tide with Work That Wows and Jobs That Last by by Tom Peters. Peters doesn’t disappoint with this “sequel” to his In Search of Excellence book that was considered groundbreaking. My takeaway from this book is Peters’ mindset that he summarizes with the statement; “Excellence is the next five minutes.” Get my full review here. The Four: The Hidden DNA of Amazon, Apple, Facebook, and Google by Scott Galloway. Galloway provides a combination of solid research and cynical humor to paint a picture of how a few companies are reinventing the world as we know it. His detailed study of Amazon, Apple, Facebook, and Google show how these massive companies were formed, the market spaces they created, and the incredible societal and business impacts they have made and are making. Get my full review here. The Idea Book by Fredrik Haren. Haren has written this book in a format designed to generate ideas. There 60 creativity inspiring sections followed by an activity designed to tap into your creativity. The book has an additional 150 blank pages dispersed strategically throughout the book to be used to record your creative ideas. Get my full review here. The Inevitable: Understanding The 12 Technological Forces That Will Shape Our Future by by Kevin Kelly. Kelly is one of the founders of Wired Magazine and is a well-respected futurist. The Inevitable describes 12 trends that Kelly predicts will have a major impact in our society over the next 20+ years. These are outlined in the full review here. The Magic of Conflict: Turning a Life of Work into a Work of Art by Thomas F Crum. Crum defines his method of conflict management through the lens of an Aikido martial artist which, all things considered, is a very interesting perspective. However, I was not a big fan of the book as it focused too much on expanding and contracting “ki” or “sources of positive and negative energy”. Get my full review here. The New Gold Standard: 5 Leadership Principles for Creating a Legendary Customer Experience Courtesy of the Ritz-Carlton Hotel Company by Joseph A. Michelli. Leave a Lasting Footprint Get my full review here. The Power of the Other: The startling effect other people have on you, from the boardroom to the bedroom and beyond-and what to do about it by Dr. Henry Cloud. Dr. Henry Cloud is one of my favorite authors. He focuses on improving human performance by addressing psychological issues that all of us deal with. This book is no exception. He describes the four corners that all of us experience at least once in our careers. Get my full review here. The Second Machine Age: Work, Progress, and Prosperity in a Time of Brilliant Technologies by Andrew McAfee and Erik Brynjolfsson. The authors take us through the history of social development and chart the relentless and accelerating progress of technology. They do a great job of explaining how technology has impacted society, is impacting society, and will impact society moving forward. Get my full review here. The Sleep Revolution: Transforming Your Life, One Night at a Time by Arianna Huffington. Huffington provides a very detailed study on the importance of sleep and the impact that lack of sleep has on every aspect of our lives – our health, ability to focus, productivity, safety, life expectancy, etc. Unfortunately, most of what was covered in the book was not revolutionary but is knowledge that is already commonly available. However, it is a good consolidation of these studies and findings. Get my full review here. “The Third Wave of the Internet is coming, the moment where the Internet transforms from something we interact with to something that interacts with everything around us.“ Get my full review here. The Ultramind Solution: Fix Your Broken Brain by Healing Your Body First by Dr. Mark Hyman. Hyman explains how the food we eat impacts our physical and mental health. He explains how conditions like ADHD, Alzheimer’s, bipolar disorders, OCD, Parkinson’s, etc., can be caused by, or significantly impacted by our diet. Everything he discusses in this book is clearly supported by published, scientific research studies. Get my full review here and get my personal detailed book notes here (under the Value/Health and Wellness section). The War of Art: Break Through the Blocks and Win Your Inner Creative Battles by Steven Pressfield. Pressfield does a stellar job of defining what “Resistance” is and how it prevents each of us from reaching our full potential. He has written this book in such a simple, yet profound prose, that anyone can read and understand it – and everyone will be motivated by it! Get my full review here. Tools of Titans: The Tactics, Routines, and Habits of Billionaires, Icons, and World-Class Performers by Timothy Ferriss. Ferriss has compiled an extensive volume of advice from an impressive cast of high profile people on topics loosely categorized into health, wealth, and wisdom. Ferriss lives his life like “one big human experiment” and this book captures his experiences while leveraging the collective wisdom of all those who have influenced and impacted his life. Get my full review here. Tribe of Mentors: Short Life Advice from the Best in the World by Timothy Ferriss. Once again, Ferriss delivers a classic! Tribe of Mentors is a collection of interviews of some of today’s most influential people across all sectors including, business, medicine, sports, and entertainment. Get my full review here. Tripping Over the Truth: Christofferson takes the reader through the history of the diagnosis and treatment of cancer over the last few hundred years. Along this journey, science and doctors have made some dramatic discoveries and some dramatic errors in the detection, prevention and treatment of cancer. Essentially, the author is laying the scientific groundwork to support the metabolic theory of cancer. Get my full review here. Get my detailed Kindle book notes here! Valve: Handbook For New Employees by VALVE employees. This is not a traditional book that you can buy from Amazon. This is a manual from VALVE, a software development company, that can be downloaded for free off the web. It is an amazing employee “crowd” written handbook that explains many aspects of the VALVE business. Get my full review here. What’s The Future and Why It’s Up to Us by Tim O’Reilly. O’Reilly outlines the process he uses to understand and successfully identify developing trends that will make an impact in the future. He explains how to build this set of tools and mindset in yourself and in your organization. Get my full review here. Will it Fly by Pat Flynn. Flynn takes his readers through the process of business ideation, validation, incubation, and eventual start-up and rollout. His writing style and methodology are simple yet powerful and he provides many anecdotes and useful examples to drive home the concepts that he is teaching. Get my full review here.